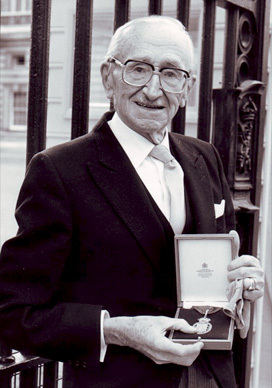 Hayek was embraced by liberals and conservatives alike for his unique and outstanding contributions and explanations of economic concepts and how these relate to a person's survival in the modern world. He was a great force for free market economics. Hayek was not a big fan of the usual economic jargon that put so many people to sleep in the world's universities. He is considered one of the greatest economists of all time and considered himself a classical liberal and not a conservative. He was the author of 19 books and countless articles and papers. 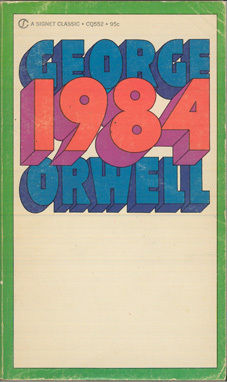 His great masterpiece, The Road to Serfdom, inspired one of the leading liberal voices in England, George Orwell, to write his classic book 1984 that became a rallying cry for benevolent liberals and pro-liberty conservatives against the intrusions of big government that naturally grows, restricts and impinges on citizens until the impingement becomes choking and oppressive. 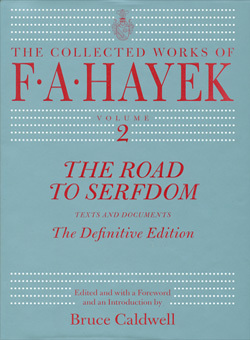 Hayek argues that without economic liberty, civil liberty will erode and soon disappear as the failed fascist and Soviet regimes of the past proved. Hayek showed correctly that central planning would lead to disruptions and inefficiencies that could eventually bankrupt even the brightest of planned schemes. But even worse was the fact that government planning or meddling in economics leads to political control and with that, less individual liberties. If government planners decide 20,000 more tons of steel a day are needed from an eastern city, then needed steel workers would not be allowed to move to a western city if they so desired. This and other more subtle types of political control was inevitable according to Hayek if the means of production were not left to the free market. What he did accomplish in The Road to Serfdom was to clarify with logic and real world examples how central planning would not work in a society and how disastrous inducing even more planning and people to handle the problems created by the planning in the first place. Eventually in a government run as a planned society the populations would suffer more and more economic hardships at the hands of the civil servants and then experience encroachments to their liberties. Producers and consumers should have the least amount of interference between them. A restaurant serving lousy food would close very quickly unless it was subsidized by the government. Free markets have been debated for centuries. On one side are people who understand two simple truths: 1) that throughout history there always seemed to be more products, better distribution, more innovation and better service from markets that are not encumbered by bureaucrats and people who think they can actually plan the constant coordination and the daily and sometimes hourly likes, dislikes and values of hundreds of millions of people. 2) Freedom of thought, speech and religious preferences should not be controlled by the State. Since the struggle for human survival is easily 90% economic, then economic freedom should certainly rank as high as the above cherished rights of man. Hayek was a champion of these basic rights of man. Without them he explained that the world would re-enter a Dark Age.